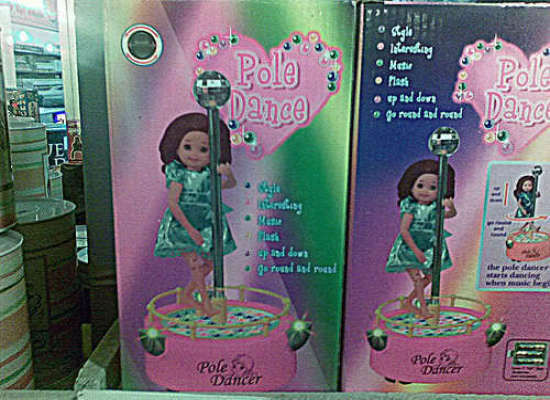 Posted on January 2, 2012, in Marketing and tagged child, doll, pole dance, pole dance doll, product. Bookmark the permalink. 1 Comment. Maybe they just misspelled the name “Polly”? And that post she’s holding on to is, er, uh, a baton of some sort?